Around 200 prospective students attended an Open Evening to get a glimpse of what is on offer at Highfields Sixth Form. Students flocked to the event with their parents and carers, where they got the chance to speak to current Sixth Form students and staff about their work, curriculum, examination results and ‘life at Highfields’. They also got the chance to learn more about the extensive range of A-Level and Applied courses we offer and tour the school’s facilities. Presentations were made by Head of Sixth Form, Mr S Pycroft, and members of the Student Leadership Team. Representatives from a number of universities were also on hand to provide advice about life after Highfields. Mr Pycroft said: “Making your decision about Post 16 education is very important. “It is always pleasing that so many of our Year 11 students choose to stay on to study at our Sixth Form and we were delighted to host this Open Evening so other students could get a feel of what we have to offer. “Highfields is proud of its thriving Sixth Form, which offers an extensive range of courses. We have a reputation for providing high quality teaching in a supportive, friendly and challenging environment, giving our students the best possible foundations to succeed on whatever life path they choose after Sixth Form. We have extensive links with Higher Education institutions and a fantastic record of our students joining universities, including Oxford, Cambridge and the Russell Group. 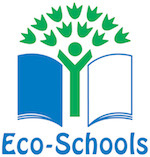 “Our ethos is about having high expectations within a supportive and friendly environment. “Our Open Evening was a great success and it was wonderful to welcome so many people through the doors to give them a flavour of our Sixth Form." Posted on November 21, 2018 by Vicky Nash.